Electric car maker Tesla says its keenly awaited Model 3 car for the masses will be completed on Friday. CEO Elon Musk made the announcement on Monday on Twitter. The car is to start at around $35,000 and with a $7,500 federal electric car tax credit, could cost $27,500. Tesla says the five-seat car will be able to go 215km on a single charge and will be sporty, accelerating from zero to 60mph in under six seconds. Musk had said production was on track to start in July, but Tesla has often faced delays in getting vehicles to the market. The Palo Alto, California-based company aims to make 5,000 Model 3 sedans per week by the end of this year and 10,000 per week in 2018. Whether Tesla can meet its production goals is an open question. 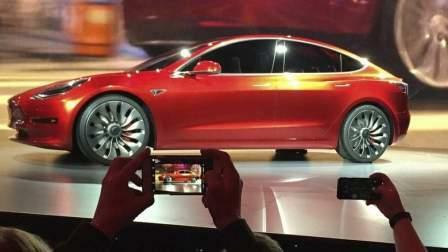 Its last new vehicle, the Model X SUV, was delayed nearly 18 months.